Grants will be given to projects that demonstrate that they can make a difference. Once again UWC students have impressed us and the quality of 2019 projects is fantastically high. GoMakeADifference is delighted to announce it will be supporting 31 projects run by UWC students living the UWC mission after they graduate this summer. 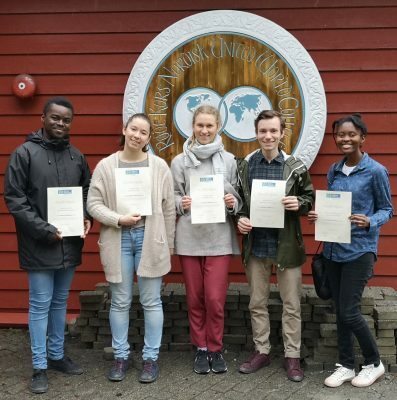 UWC students will be making a difference in Africa, Asia, Americas, Middle East and Europe throughout 2019. The total value of grants awarded for 2019 is $31,000. Each of the 17 UWC schools and colleges is represented across the 31 projects. 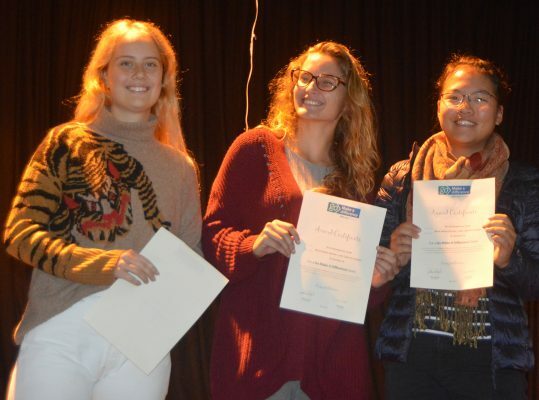 Below are students from Waterford Kamhlaba UWC and UWC Red Cross Nordic receiving their certificates in recognition of their successful project awards. Here at GoMakeADifference we can't wait to see the end of project reports from UWC projects leaders on how their projects were delivered. It is great to hear from the students, what worked, what was a success, what they learned and what they would have done differently if they had their time again. The reports provide motivation to future students thinking of applying to make a difference. We wish you well! As always we would like to thank the local UWC school/college coordinators for everything they do in promoting the award scheme and for everyone applying.